is an American journalist, academic and consultant, whose work has appeared in The Guardian, Slate and Quartz, among others. She lives in New Delhi, India. The term ‘Hindutva’, which Savarkar coined by adding the Sanskrit suffix ‘-tva’ (equivalent to the English ‘-ness’) to the adjective ‘Hindu’, rebranded Hinduism – ‘Hindu-ness’ – as a nationalist ideology, a political groundswell formulated along ethnic lines. Savarkar wrote: ‘The Hindus are not merely the citizens of the Indian state because they are united not only by the bonds of the love they bear to a common motherland but also by the bonds of a common blood. They are not only a Nation but also a race (jati).’ ‘Hindutva’ recast multi-faith India as the Hindu homeland, giving Hindus a unique claim to the country. Britain no longer dominates India, but for supporters of Hindutva, the country’s prime antagonists are still non-Hindu Indians, chiefly Muslims. And the coinage has stuck. Almost a century later, Savarkar’s writings remain a fount of inspiration for those who still seek to unify India under a putatively pan-Hindu banner. In India, the ideology of Hindutva is experiencing a second act, proving itself inextinguishable. ‘The book is today a Bible for Hindu nationalists,’ wrote the journalist Uday Mahurkar of Savarkar’s tract in 2015. The politics of India’s current administration are still greatly informed by the young law student’s vision of a Hindu nation. ‘Savarkar has become more relevant today,’ said Amit Shah, president of India’s ruling Bharatiya Janata Party (the Right-wing BJP) earlier this year. ‘We have to apprise the youths and generation next of his freedom fight and literary work.’ Just two years after the release of Essentials of Hindutva, the Rashtriya Swayamsevak Sangh (RSS) was founded as a volunteer paramilitary organisation dedicated to advancing Savarkar’s platform of Hindu unity and promoting Hindu causes. It is often called the BJP’s ‘ideological parent’. In 2014, the self-styled populist Narendra Modi, an RSS member, won India’s general elections. Modi ran on a platform of neoliberal development schemes wedded to a Right-wing Hindu nationalist agenda. His ascent to prime minister marked a shocking victory, which foreshadowed Donald Trump’s rise to power. In 2008, while still chief minister of Gujarat – a tenure darkened by his suspected complicity in the brutal anti-Muslim pogroms of 2002 – Modi launched a website dedicated to archiving ‘Savarkar’s thoughts [which] touch upon every aspect of nation-building and are relevant even today’. In 2016, on the 133rd anniversary of Savarkar’s birth, Modi Tweeted out a salute to the ‘true son of Mother India’ using his popular honorific Veer, meaning ‘brave’. Like Savarkar, the BJP presupposes an elemental Hindu-ness, survivor of myriad foreign onslaughts. ‘It weathered the storms of invaders, from the Greeks to the Huns … to the Islamic armies of Turks and Afghans,’ states the BJP website. ‘It fought and resisted external oppression, and its essential civilisation and culture survived great challenges and attempts at effacement.’ Singled out for special opprobrium is the ‘Holocaust’ that ‘Muslims reaped’ on Hindus during centuries of Mughal rule (1526-1857). For decades, the BJP has been committed to giving Hindus a unified country, which they have already partially achieved through the consolidation of Hindu voting blocs. BJP now wields control over 18 out of 29 states. The Hindu nationalist vision of India hinges on an imagined, culturally pure Vedic golden age, a Hindu rashtra, or nation. It’s usually represented by the ancient kingdom of Ram, the godly hero of India’s national epic, the Ramayana. The BJP gained popular support in the 1980s by launching a campaign against the Babri Masjid, a 16th-century Mughal-built mosque in the northern city of Ayodhya, claiming that it had been built over a shrine marking Ram’s birthplace. In 1992, Hindu rioters, incited by politicians, stormed the mosque. The resurgence of Hindutva was spurred, in part, by India’s transformation from a socialist to a market economy. The demolition of the Babri Masjid directly followed the 1991 economic liberalisation of India, which quadrupled the country’s GDP by opening up to foreign investment and adopting a policy of trickle-down economics. With widening income gaps and a barrage of foreign goods, Savarkar’s writings, which denounced caste divisions and emphasised cultural nationalism over economic equality, held a new appeal. The lure of a harmonious, Hindu-helmed past served as a galvanising fiction, propelling the ideology of Hindutva to mainstream acceptability. BJP leaders are still focused on having Ram’s temple reinstated. This motive of ‘return’ to a purer, idealised nation informs the Hindutva claim to the Indian nation as a unique Hindu homeland. In the opening pages of Essentials of Hindutva, Savarkar alludes to the ‘fair Maid of Verona’. He quibbles with Juliet over the importance of names: ‘Forgive us for this our idolatrous attachment to it when we make bold to assert that: “Hindus we are and love to remain so!”’ To Savarkar, Hindutva is at once precise and collective, both expansive and exclusionary. The word gave a title to political Hinduism, recasting Hinduism as a distinct national form for India. Hindutva still offers Hindu-ness as a deep, shared identity, borne out of an unbroken lineage. In the Hindutva ideal, Hinduism represents a vast, encompassing reality, a subcontinental cultural ethos that is not reliant on faith (Savarkar himself was an atheist). 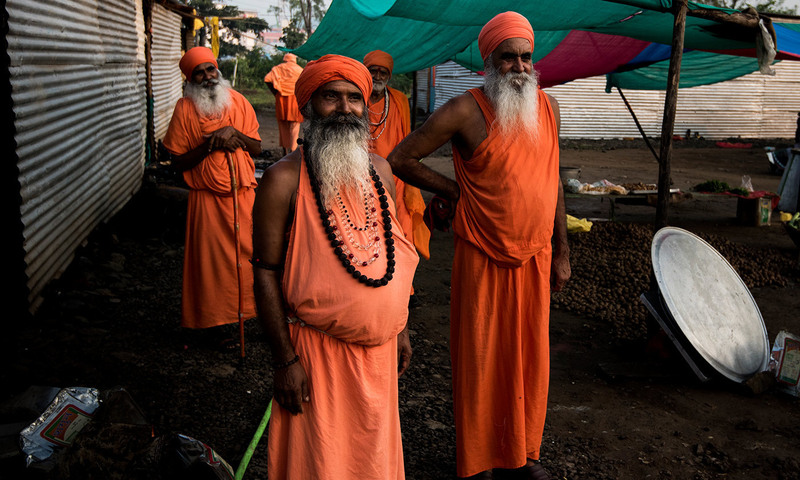 Hindutva secularises Hinduism, relying on a heavily mythologised golden age and, as is common to nationalist stories, a fictitiously unified past. Hindutva introduced a nationalist history of Indian greatness and unity, in which all acknowledged the authority of the nation. Since the publication of his pamphlet, Savarkar, like the myths to which his vision of India defaulted, has also been memorialised, aggrandised and revered. In the Andaman Islands, where Savarkar carried out the harshest years of his sentence, the Veer Savarkar International Airport now greets arrivals. The BJP will soon adorn his small cell with a plaque in praise of the freedom fighter who challenged British rule in India and whose ideology of Hindutva now, a century later, has both united the country and set it bitterly at odds.